Vitec Imaging Solutions is pleased to announce that they are now the exclusive distributor of Sekonic for Germany, the UK and Amazon EU. Sekonic have just launched the new C-800 SpectroMaster which is designed for cine/videography as well as photography to meet the demand of emerging LED. Vitec takes on exclusive distribution of Sekonic brand in Germany, UK and Amazon EU. Vitec Imaging Solutions is pleased to announce that they are now the exclusive distributor of Sekonic for Germany, the UK and Amazon EU. Founded over 60 years ago, Sekonic has become the leader in light measurement and exposure meters, which revolutionised the market. 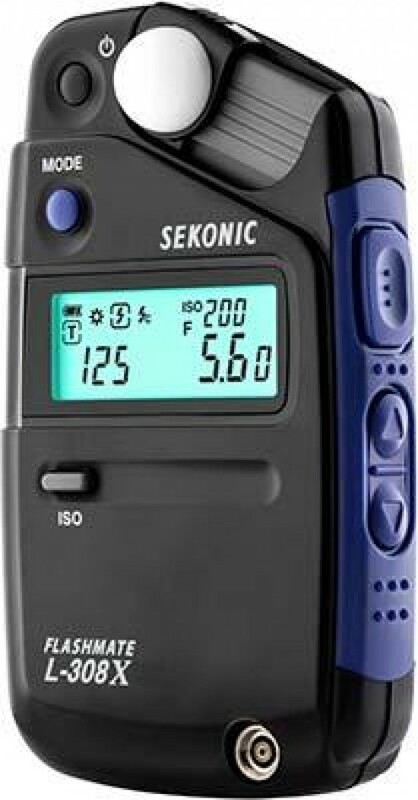 Providing the widest range of light measurement devices for photographers around the world, Sekonic produces tools such as light meters, color meters and illuminometer to help photographers and cinematographers measure and control light for the perfect exposure. The addition of Sekonic to the portfolio of brands distributed by Vitec Imaging Solutions further strengthens and widens the range of accessories offered by the company. Furthermore, there are opportunities across Vitec's owned and Partner Brands to sell Sekonic products in conjunction with Manfrotto lighting, Avenger and broncolor in the UK. Sekonic will be distributed within Vitec's Imaging Solutions Division, and the agreement is in line with Vitec's strategy to grow established Partner Brands into additional territories. Sekonic have just launched the new C-800 SpectroMaster which is designed for cine/videography as well as photography to meet the demand of emerging LED. With the C-800 SpectroMaster due to be available in early 2019, Vitec are well positioned to bring this to market as well as work on existing product lines. Vitec's customers include independent content creators, photographers and enterprises, and our activities comprise: design, manufacture and distribution of high performance products and solutions including camera supports, LED lights and bags. Vitec Imaging Solutions is one of the three divisions, along with Production Solutions and Creative Solutions that make up The Vitec Group plc. Sekonic Corporation, based in Japan, provides the widest range of light measurement devices for photographers around the world. Established in 1951, the first Sekonic brand exposure meter introduced was the revolutionary Sekonic P-1. In 1984, the Sekonic Digipro X-1 and L-518 meters were taken into space on the NASA Space Shuttle. With more than 60 years of expertise, Sekonic continues to produce and develop meters for the film, video, cinematography and digital photography markets.